I have a solid reputation based on honesty and integrity, two fundamental ingredients for a successful and lasting relationship with both clients and colleagues. 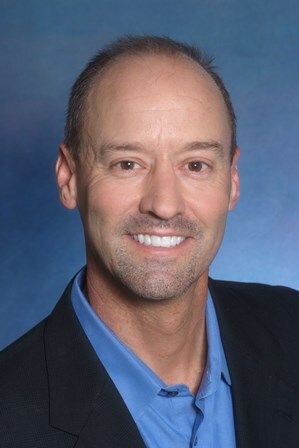 I have almost (3) decades of sales experience and eighteen years’ experience as a real estate investor, and have held properties in seven states. My real estate experience, persistence, strong negotiating skills, communication style, contract knowledge, networking and reputation are all utilized. I realized that I had a true calling in the real estate industry. I graduated from San Jose State University with a B.S. in Business with a concentration in Finance and a minor in Economics, this knowledge is especially important when it comes to this real estate market. My extensive sales background and negotiation skills allow me to get my clients what is most important to them in the transaction, and I can usually find an angle that will give my clients an edge against their competition. I have a knack for closing sales quickly, and I love helping my buyers find the perfect fit for them at the right price. Buying or selling a home can be very stressful, and I use my expertise to make it a calm process for my clients and help them understand each step of the way. I have assembled a team that helps with the paperwork, inspections, financing, staging, and all title work; this allows me to aggressively help my clients meet their personal and financial goals while providing quality service and personal attention. There are many things I love about being a realtor, including a passion for negotiation and foreseeing and overcoming challenges smoothly. However, what is most rewarding to me is meeting new clients, establishing a good relationship, and helping my clients get the desired results they want. If you would like to find out more about my background in real estate, and why I am the realtor of choice, contact me now at (408) 472-8754. 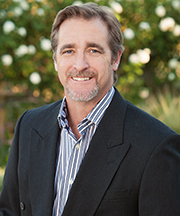 Bill has over 27 years of business and sales experience in the Bay Area. With his can-do attitude, he gets results. Bill has helped numerous customers reach their goals, even in difficult markets. With his warmth, enthusiasm and energy, he can make the process of buying or selling a home not only easy, but also enjoyable. As a seasoned negotiator and customer service manager, he knows how to smoothly manage even the most complex transactions to a successful outcome. ‘Helping you reach your goals’ is what drives Bill’s involvement in real estate. He listens to your needs, understands the emotional and financial aspects of real estate transactions, and gets the results you are looking for. Integrity, excellent communication, and superior customer service are the three pillars of Bill’s approach. He’ll make the commitment to go the extra mile for you and make your dreams come true. Bill grew up in San Jose and married a San Jose native, Kelley. They have three wonderful children – Michael (20), Cory (14) and Tanner (8). Bill loves to golf, water ski, motorcycle race and spend time with family and friends.